Accommodation at Cooinda Lodge is undergoing a major upgrade, with 32 of the villas being refurbished to provide the highest standards of accommodation for visitors to Kakadu. The refurbishment includes upgrades to bedrooms, bathrooms, furnishings and facilities and will be completed in time for the main peak season. Cooinda is one of the most convenient bases for touring Kakadu, with Yellow Water Cruises and Spirit of Kakadu Adventure tours operating from Cooinda. 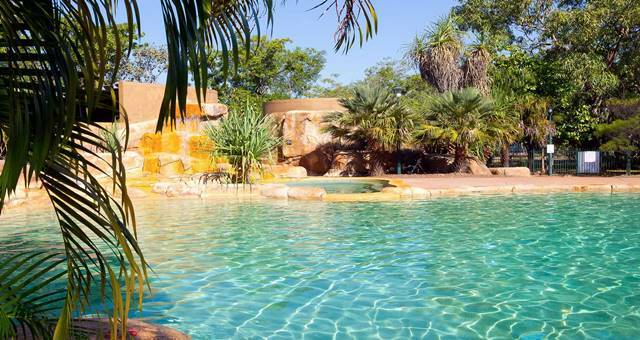 Warradjan Cultural Centre – a showcase for Kakadu’s Indigenous culture and heritage – is just five minutes’ drive from Cooinda, while major tourist sites like Nourlangie, Anbangbang, Twin Falls, Jim Jim and Gunlom are all best accessed from Cooinda. 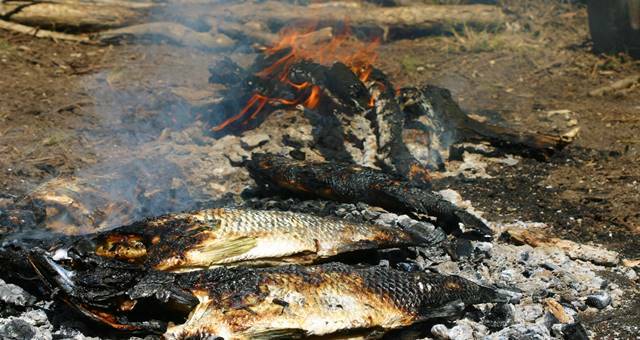 A pop-up dining venue specialising in Kakadu’s famed Barramundi fish will operate during the peak season. Flash Camp will return for a new season at the Cooinda Camping Ground from 16 June to 16 September in 2018, and will be available for inclusion in wholesale programs for the first time this year, following increased international and domestic demand. Set in beautifully shady grounds, ‘Flash Camp @ Kakadu’ offers bespoke bell tent accommodation in the heart of Kakadu National Park, ideal for those seeking an effortless camping experience while exploring the UNESCO World Heritage Listed wilderness. Accommodation will include double and twin bell tents with spring-foam mattresses on pallet bases, quality bed linen, fresh towels, bamboo furniture, toiletries and Armadillo & Co rugs. Tents have power, lighting and a fan. Family configurations are also available. Guests will also have access to the recently renovated communal bathroom facilities, barbeques, as well as a restaurant, bar and pools at the adjoining Cooinda Lodge. Rates start from $140 per night. Kakadu will host the largest gathering of bird watchers and nature lovers in Australia for the annual Kakadu Bird Week 2018, with special birding activities, events, a new photographic competition and special sessions for children being offered from 30 September to 7 October. Whether it is graceful sea eagles ‘fishing’ on Yellow Water Billabong or local favourites such as the Jabiru and the tiny, vividly coloured, Kingfisher birds, Kakadu is Australia’s most spectacular location for lovers of exotic birds. The region is home to over one-third of Australia’s bird species and October is the peak time to see the full diversity of birds, as the wetlands retreat after six months of ‘dry’ and birds flock to the Top End in preparation for the next breeding cycle. A prime vantage point to view Kakadu’s immensely rich and diverse bird life is on Yellow Water Billabong, at Cooinda. 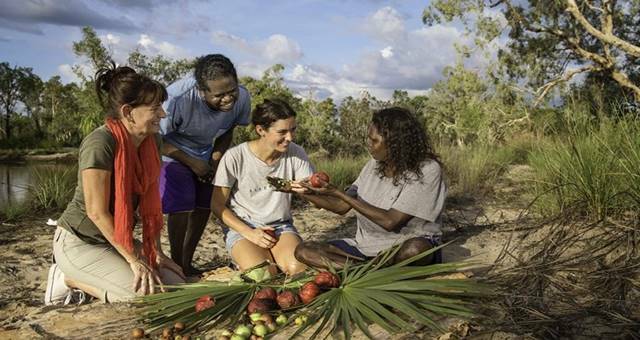 Yellow Water Cruises and Kakadu Tourism will be offering visitors exceptional opportunities to get close to Kakadu’s bird life during the special week.